The Bug King and his goons have taken over Unity World and its up to Unity Chan to set things right! Run, Jump, and Double Jump your way through multiple fantastic colorful levels! 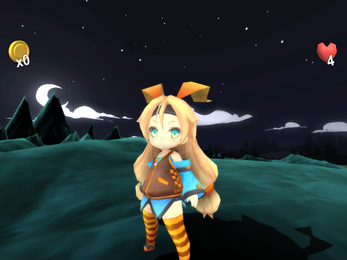 Cutting edge Unity Chan "Unite in the Sky" & SmartSound soundtracks to groove to in each level! Stay away from the Water! Unity Chan can't swim and doesn't like to get her hair wet! 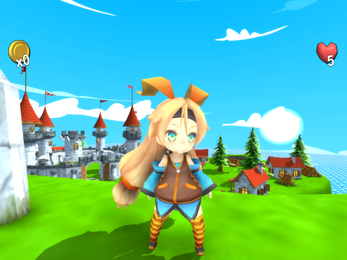 Family Friendly 3D Platforming Game that can be enjoyed by all! 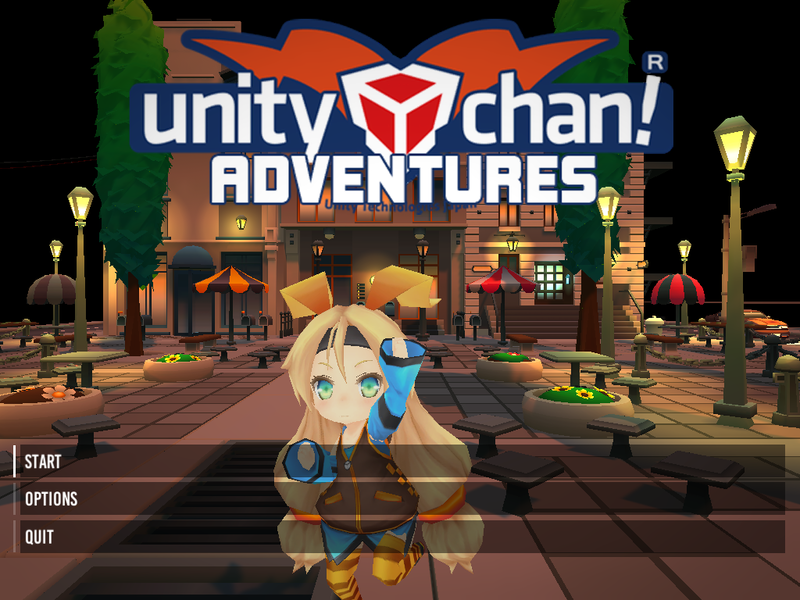 Unity Chan Adventures is Live! Needs a bit more polish & attention to detail. The snow level felt unfinished, and at parts disjointed, at the part where i jumped upwards the tiny cliff it didn't had a unified direction, so o had to frequently jump off in order to get forward. I also expected the ice tunnel to go somewhere inside, and it all felt pretty short. Just as i beggined playing the next spooky level, as i enter the graveyard i imagined camera being directed at the gate and it closing itself (like a tiny cutscene). I also noticed that the bars i touched so far don't have MeshCollider, so i can go through them. 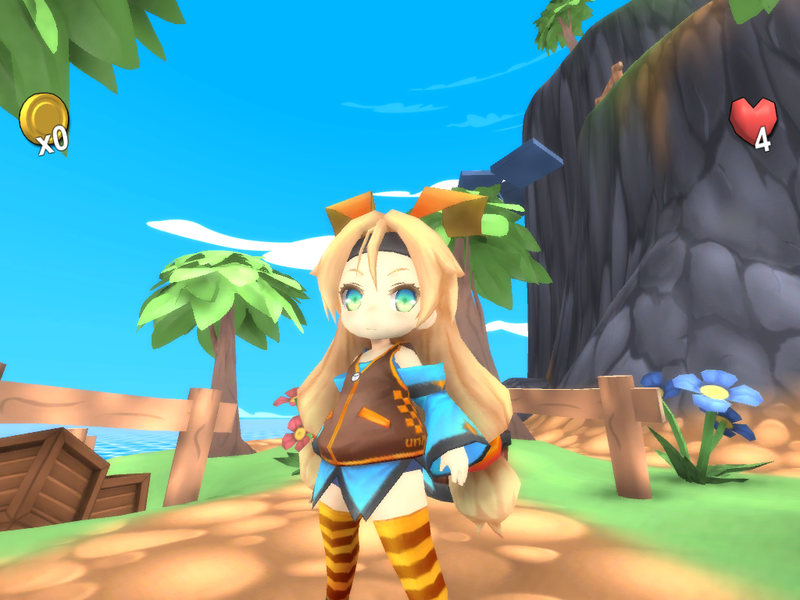 Also would be nice if you open-sourced it, there are pretty few decent open-sourced games to experiment (Hat in Time has modding support packed with editor and would be exactly that type of game that would be nice modifying, even though me modifying it would probably make it just worse). Thanks for the feedback ad48! I really appreciate it! I admit that level design is not one of my strongest game design skills and is something I am actively looking into improving. Thanks for pointing those level design based things out to me. 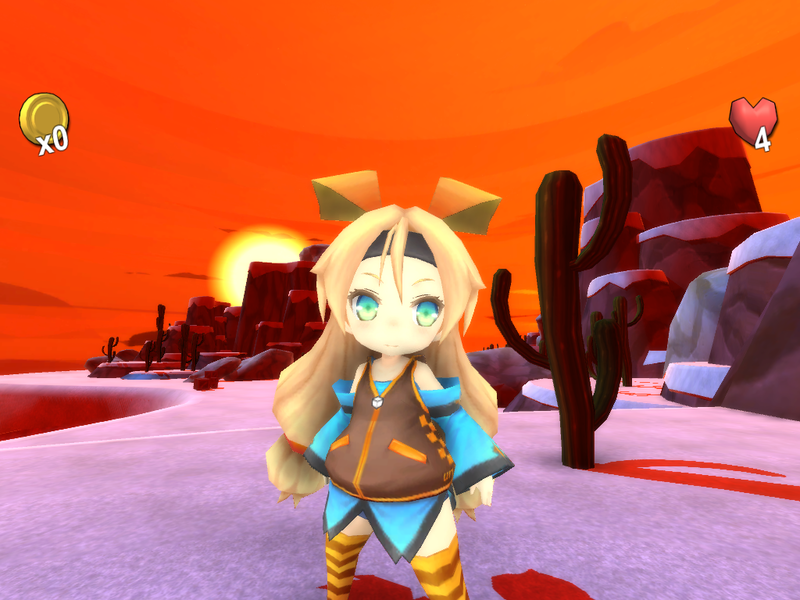 I know that level design in general isn't easy, and going from 2 dimensions to 3 dimensions doesn't make things any easier, but I'm a big fan of 3D platformers, so I'm certain that I'll get it right one of these games. The MeshColliders on the gates was a bit of an oversight. I did think of adding box colliers to them, but didn't want to go crazy with colliders as it would start to cause performance issues. 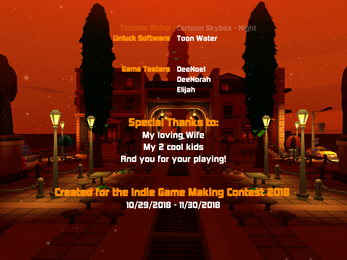 In fact, I had originally had an open word type city level planned for the game (you can even see the music credit for it in the credits screen, as I forgot to remove it), but because it was so big and with so many colliders, even with mesh combining it started to crash my Unity so often (every time I tried to enter play mode), I had to scrap it. So, after that point I was a bit nervous about going collider crazy. As far as Open-sourcing the game, i'd love too, but I can't. Most of the game was created with assets purchased on the Unity Asset Store. 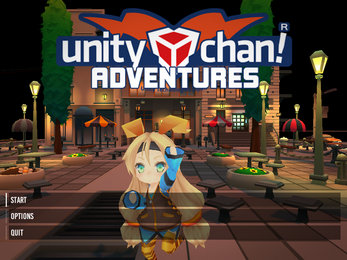 Aside from the Unity Chan model, loading screen artwork and the 2 tracks from the Unity Chan Album, everything else was purchased either on the Unity Asset Store or from SmartSound.com. Meaning that I have licences to use them, and I can't open-source assets that I purchased from a content creator, without their permission. Again ad48, thanks for the feedback, as I believe that it will help me to make even better games in the future! Very impressive graphics, pleasant music and a fun to play game. My kids loved it (well, watching it, at least, platformers are a little above their skill level yet)! Unfortunately, there's some glitches when it comes to jumping on the roaches. Sometimes you just stand on their heads, although the glitch does play in your favor since they can't seem to touch you either. Occasionally I would just wander near the circle of stones and instantly get warped instead of touching the swirling light in the middle. However, the biggest glitch was when I tried to jump on the Giant Roach in the graveyard level. The game froze completely and I had to do a Ctl + Alt + Del to get out of it. Sorry to be the bearer of bad news. Otherwise, this is an impressive entry! Thanks Xorclev for the feedback! It really means alot to me! As far as the glitches go, I knew that the head stop sometimes didn't work but didn't know how to fix it. Its actually an issue that I discovered after buying that particular asset from the unity asset store, I reached out to the content creator about 3 times but never heard anything from him. Hopefully, I can partner with someone that knows scripting and unity better than myself and we can figure out a fix for that, as I really do like that particular game template. 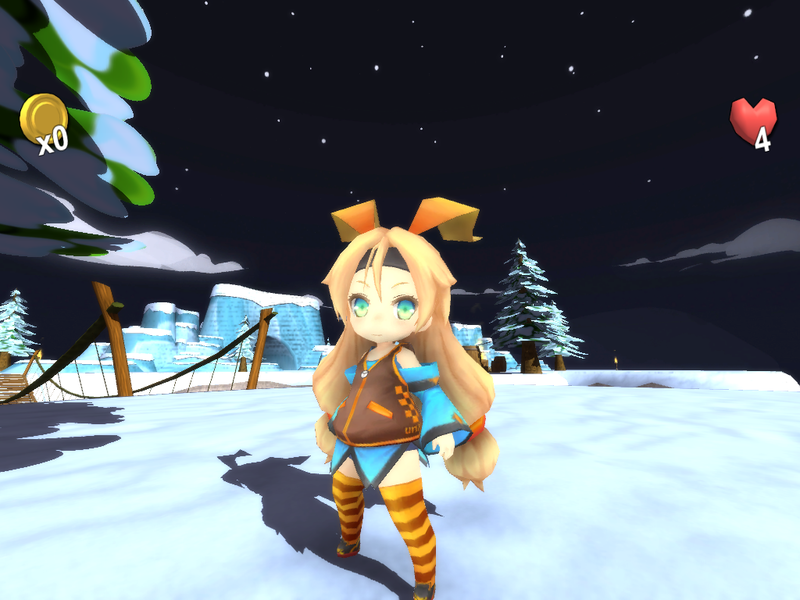 Also, the teleport glitch that you mentioned, is something I discovered after I submitted my game. The way the teleporters work, is it looks for a collision, and whatever collides with it, triggers the level jump. Problem is, the bugs have 2 colliders, 1 to determine if you are stomping them, and a 2nd larger one that acts as a vision of sorts, so when you enter this trigger, it causes the bug to chase you. I discovered that if this 2nd collider hits the teleporter, it triggers the level jump. I should've set the teleporter to collide only with the tag of player to trigger the level jump. Lastly, I feared that there would be a giant bug (no pun intended) that might cause a need for a game quit. The backspace key can quit the game at anytime (not just when the game is paused), as long as you are in a game stage and not the tile/level select screen or credits screen. Thanks again for the feedback! I feel it helps me to make (in my opinion) better games!